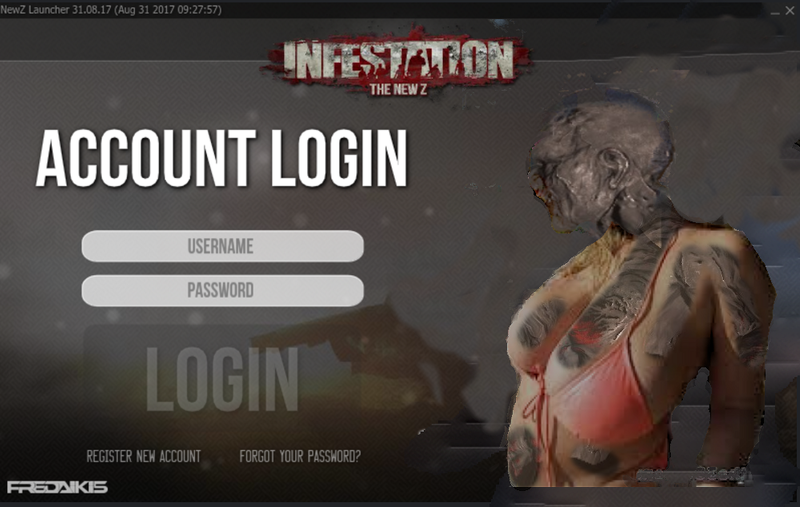 We are very proud to present you the brand new upcoming launcher design for Infestation: The New Z! After using the same launcher for more than 3 years we felt it was time for some "refreshment" and improvement. This new launcher will work almost exactly the same as the old launcher as just the looks are different. The best thing about this new launcher is that it's made in flash allowing us to edit and add / change stuff in the launcher easier. In the future we plan on improving the launcher even more adding everything we feel like needed. For now we would like to keep it more "simple" to get players used to the new look first. Let us know what you think! Here's a preview. Ok so this is on line now? Will test as soon as I get off work ? I think it looks awesome, but the fingers on the gun look weird, like he is missing parts!!! Could this picture be put on the launcher page?